Below are materials that can be used by anyone (writers, bloggers, educators, and the general public). Insert these two informational slides into your existing PowerPoint presentation when discussing Farm Answers. ***This version of PowerPoint slides is completely editable to match the styling of your existing presentation. Copy & Paste code below to display Farm Answers linkable badges on your website. You may need to adjust the height, width, etc. 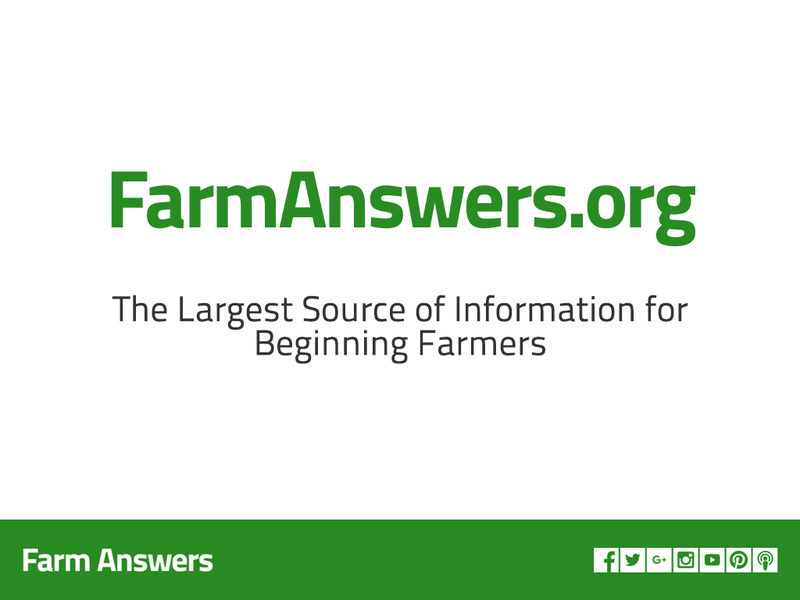 Farm Answers is a website full of links to videos, online courses, apps, presentations, farming & ranching programs. The site is divided into sections to help visitors quickly find information. The Library has links to thousands of materials which can easily be sorted and filtered for specific results. The Producer Programs section lists and links to hundreds of farming & ranching programs people across the United States can join. In the Blogs & News section visitors will find the latest headlines from the most popular farm and ranch blogs, agricultural news sites, and podcasts. The Toolboxes section gives farmers tools on topics like Business Planner, Marketing Products Locally, and Accessing Land. 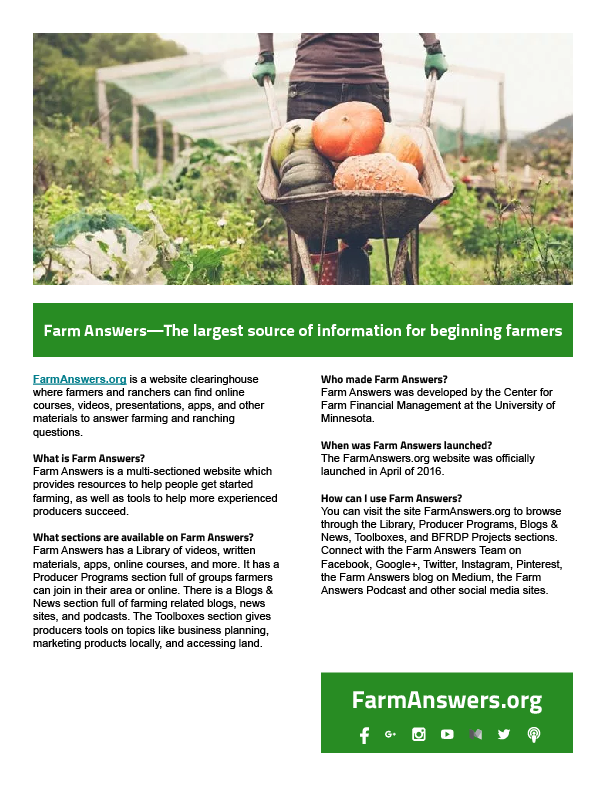 FarmAnswers.org was officially launched in April of 2016 by the Center for Farm Financial Management at the University of Minnesota. Visit FarmAnswers.org to browse the Library, Producer Programs, Blogs & News, Toolboxes, and more! Connect with Farm Answers on Facebook, Google+, Twitter, Instagram, Pinterest, our Blog on Medium, and other social media sites. Listen to Farm Answers Team Members Curtis & Jeff on the Farm Answers Podcast (iTunes, Google Play, Stitcher, and http://FarmAnswersPodcast.org).